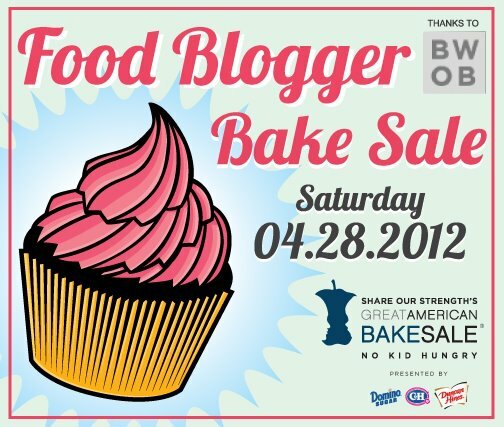 This Saturday food blogger across the country will be joining forces (selling sweets) to raise money for Share Our Strength. I've been making goodies for the Atlanta event, which will be at Cook's Warehouse Ansley Mall location from 9 am to 1 pm. Check here to see if there's a sale in your city. If you can't make the sale, consider making a donation online here. I also decided to give up sugar for a week (great timing, right?). I have a pretty serious sweet tooth, which seems to have taken a turn for the worst. My body (and my palate) need a little break from sweetness to recover and reset. Joy's Coffee Coffee Cake Muffins . I've been craving streusel lately (totally normal huh?) and the combo of vanilla and espresso is righteous. Bookmarking these guys for Mother's Day brunch. I'm so in love with Ashley's words on the seasons of life. We are in a planting and weeding season right now and I'm trying to be present in that, which is always a challenge for me. Her Rhubarb Mojito will probably help though. Megan makes a mean goat's milk caramel, I mean Cajeta. I just subscribed to Remedy Quarterly and the back issues arrived this week. I'm so excited to dig in! Love this info-graphic from Grist (via Good) and this twitter, PicturelessPins!